WASHINGTON – (November 2, 2018), The Cathy Hughes School of Communications’ fact-checking co-curricular courses and news platforms, TruthBeTold, and the Howard University News Service (HU NewsService), were awarded a $10,000 International Fact-Checking Network flash grant from the Poynter Institute. As the midterm elections approach, the International Fact-Checking Network flash grant will allow TruthBeTold.news and the Howard University News Service to produce up to 10 stories related to elections and disinformation in the African-American community ahead of the midterms. The grant will amplify their resources to fact-check the election news, speeches and candidates around the country with sizable African-American communities and heated races with African-American candidates. Students are on the ground in Georgia, Florida and Maryland to fact-check candidates such as Andrew Gillum (FL), Ben Jealous (MD), Larry Hogan (MD), Stacy Abrams (GA) and more. The co-curricular course is led by Professor Shirley Carswell and the grant was submitted by Lecturer Victoria Walker, both former Washington Post staffers. Along with them will be former Washington Post deputy managing editor Milton Coleman, a Hearst Visiting Professor in the Department of Media, Journalism and Film this academic year. “We are incredibly grateful to receive the International Fact-Checking Network flash grant from the Poynter Institute. The grant gives our students the opportunity to develop fact-checking skills that will be transferable from the classroom to internships and jobs,” says Walker, journalism lecturer in the Department of Media, Journalism and Film. TruthBeTold.news is a non-profit, non-partisan website and digital network that uses journalistic skills and crowdsourced information to play a leading role by examining claims about the black community in public debate. HU NewsService is an online news and information source, formerly under the name BlackCollegeView.com, that was the anchor project for the department’s Converged Media Lab. 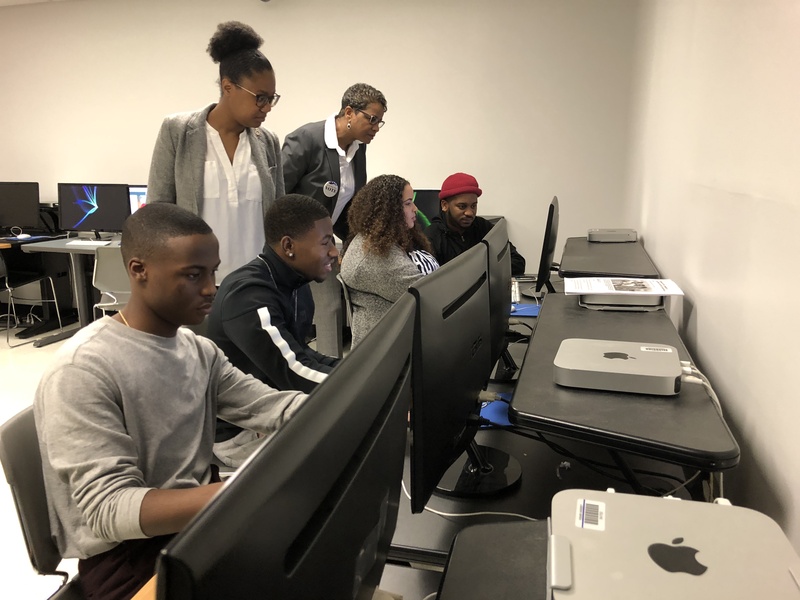 It was created through a student, faculty and industry partnership that includes the National Newspaper Publishers Association (NNPA). Both platforms are run and edited from Howard University’s Department of Media, Journalism and Film in the School of Communications. The professors and students are motivated to be competitive with larger news outlets with bigger newsrooms. They will have the tools needed to make their class into a multimedia newsroom, able to produce visual fact-checking stories using explainer videos, social media threads, and live-streaming on Periscope and Facebook Live. In addition, some of the funds from the grant have been assigned to send student journalists to conferences such as the National Association of Black Journalists’ annual conference. Maya King, a senior journalism student from Tallahassee, Florida is back home for the next week. She will be working within Andrew Gillum’s camp until Wednesday after Election Day. “In my coverage this week, I plan to focus on the issues and who is most impacted by them. Both gubernatorial candidates have energized new voting blocs in their campaigns and it’s revealed just how unique the state of Florida is,” says King. King is one of the many students on the ground covering elections around the country, working towards their dreams to becoming national reporters, news directors and producers. Every year, a new cohort of students become the faces behind TruthBeTold.news and the Department of Media, Journalism and Film will always teach them the impact of research and factual reporting. Although the midterm elections end next week, the class will be preparing for and reporting through the 2020 elections.